Explicit Ep. 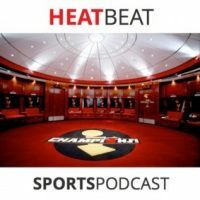 36 Heat Beat | NOTHING'S WORKING! You want to hear takes on Hassan Whiteside? You want some Japanese translations? Some Brian's Time To Shine? And maybe some stories on white people at Syracuse trying to kill Gianni? You've come to the right place!